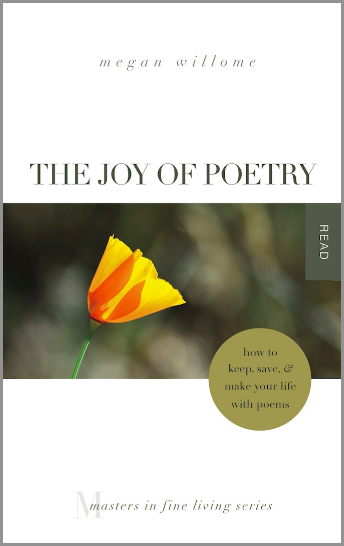 I’ve taken the poetry dare twice—once with Nancy Franson and once with Laura Lynn Brown. Now, I’m sort of hooked. I can’t start my day without it. My next dare, though, is with myself. Hello, Megan. Care to join me in going through L.L. Barkat’s collection, “Love, Etc.”? I know the opening lines came from a workshop she and I did with Julia Kasdorf. L.L.’s talked about the “lower your standards” thing since. Also, the next line of the poem is about eating fragments of Psalms, which was what Julia had us do—she handed out scraps of Psalms and asked us to write from them. I still have the poem I started from that. I just put the first two and the last two lines of this section at the top of my book document. Right now, my standards are too high. I want it to be amazing. If I would lower my standards to, oh, really good, then I could stop refusing my fortune. I am sitting on my bed, typing, and Clover is next to me. She seems intent on licking something I cannot see. Neither can she — not really. She is mostly blind. We just learned this on Thursday. My daughter was concerned about something on Clover’s eye, and the vet did the same kind of test that would be done on a baby: turn off the lights, shine a light in the eyes, observe the pupils. They hardly moved. Then the vet flipped the lights back on. The pupils hardly moved. How long has Clover been like this? We don’t know. Why is her eyesight so bad? We don’t know, but the vet has a couple of theories. I feel like a horrible dog owner. We’ve known Clover couldn’t see as well as Polo, but we never stopped to ask why — Why not? What might be causing her visual impairment? She’s only 5 years old. And suddenly everything makes sense. I’ve always described her eyes as black with a ring of brown. Oops. They should be brown with a black dot, shouldn’t they? When abnormal is all you know, it becomes normal. Clover doesn’t act like she’s mostly blind. She leaps with abandon onto the bed, the picnic table, any unsuspecting chair. She tears across the yard after squirrels. When I drop food on the floor while cooking, Clover gets to it before Polo. I have written so much about this little black pound puppy with the feather boa tail over the last 10 months. You all thought you knew her, didn’t you? Me, too. July 31 marks five years since she and Polo came to our home. Was she not seeing well back then, when she was only 3 months old? Has this been happening slowly under my own roof this whole time? If you were to ask Clover (who is now licking herself), she wouldn’t know what the fuss is about. She’s the same dog — the one I had to pull away from an injured bird, the one who rolls on her back and puts all four paws in the air, signaling that she is ready for love. The one who doesn’t mind that I spend all this time typing, as long as she can lie near me. I’ve been thinking about that last line — “Or does it explode?” What would that look like, if a dream exploded? Way back in college, when I took a psychology course, when I thought that was what I wanted to do with my life, we covered Maslow’s Hierarchy of Needs. Do any of you remember that pyramid-shaped diagram? The basic idea is that a person’s physiological needs — food, shelter, clothing — are at the bottom. 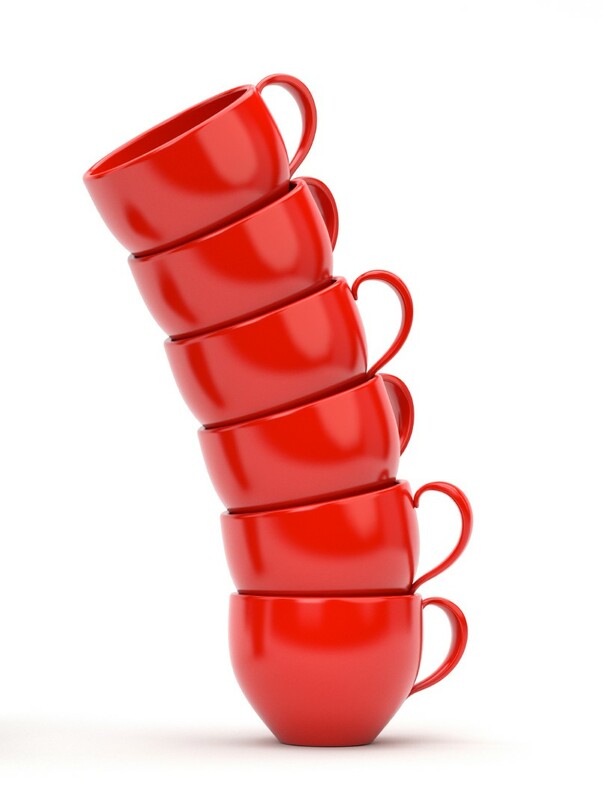 From there the needs climb: safety, social, esteem, and at the top, self-actualization, or personal growth. Now that I’m more into poetry than psychology, I’d put the word “dreams” at the top, in the sense that Langston Hughes uses the word. So, what happens when the dream is deferred? It might be deferred because a tornado ripped through your town, and you lack food and shelter. You might live in a place that’s become a war zone, so safety is a bit more important than following your dream. I know that if my social relationships, especially in my family, are going badly, I’m not very interested in personal growth. What if the dream has been deferred so long that you’re not even sure it’s there? All this wondering about dreams makes me think of my friend Deidra Riggs, who is all about helping people follow their dreams. She’s the dreamer behind Jumping Tandem: The Retreat. I didn’t get to attend the first retreat in 2013. Work was going to be busy, so I didn’t even think of signing up, but we ended up having a crisis that weekend, so it was just as well. The 2015 retreat will be held at a better date for me, May 1-3. One thing I know: I don’t want to wait so long that it explodes. 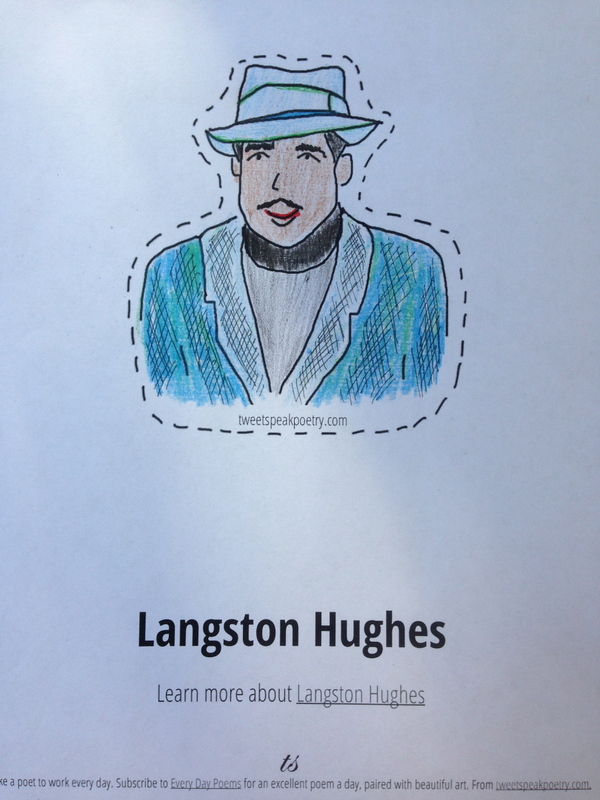 Langston joins me for coffee and poetry. I do not believe he likes George Strait, my musical morning Muse. “Why not jazz?” he asks. “I’ll turn on jazz later, when I’m editing. It helps me untangle sentences,” I tell him. “My soul has grown deep like the rivers,” I quote. “You do have wine, don’t you?” Langston asks. 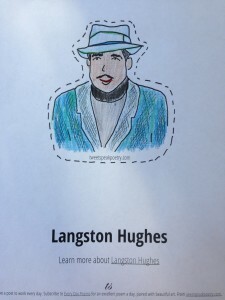 I printed my coloring book this weekend and chose a poet—Langston Hughes. I have not yet cut him out and attached him to a popsicle stick, but that will be done by Wednesday, July 16. I chose him because I remembered a poem of his I’d printed 10 years ago after I saw it illustrated in a “Herb and Jamal” comic strip. 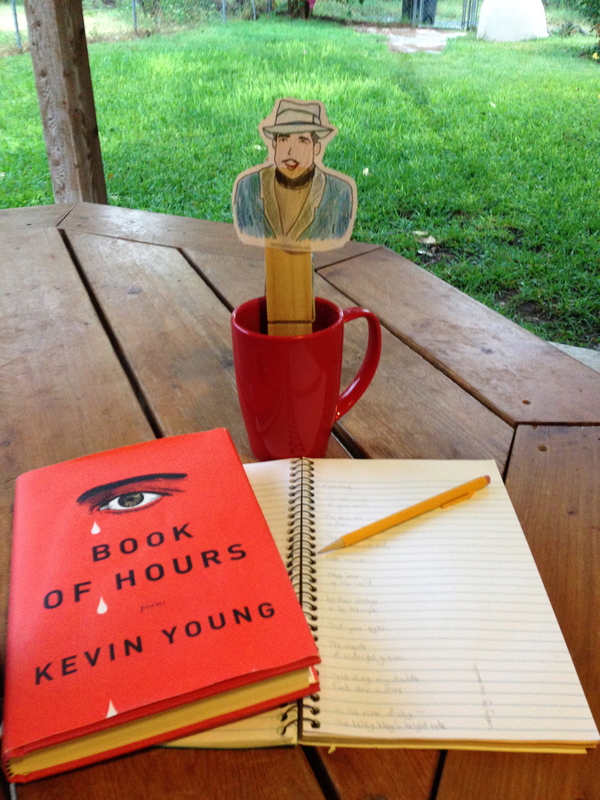 Mr. Hughes won’t be traveling far to reach my workplace—just to my back porch where I edit. It’s quite dusty right now. I thought it was from all the dirt the puppies dug up, but perhaps there’s some star-dust in there, too. There’s plenty of storm-dust. I drink tea while I work, but Mr. Hughes doesn’t seem like a tea-drinking guy. I’ll pour him a cup of coffee and stick him in that. If he has any other drink requests, I’ll let you know. Stay tuned for photos and poem snippets on Wednesday! Yesterday afternoon I sat by the city pool, under a live oak tree, and reread most of Annie Dillard’s “The Writing Life.” As someone who is at the hard stage of writing a book, her words rang more true than when I first read them 10 years ago. Only one chapter left. I have $2 in my pocket. The pool awaits.